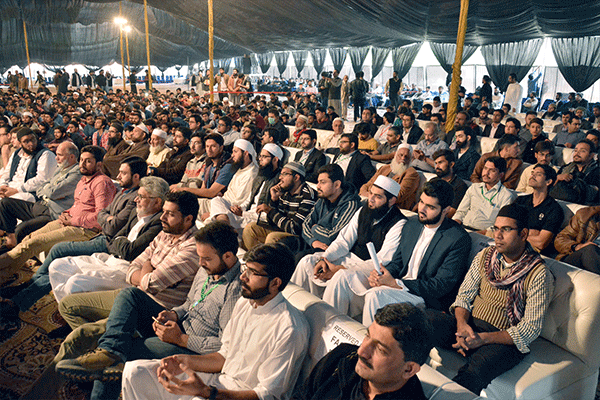 Renowned Islamic scholar Maulana Tariq Jameel delivered a spiritual talk at the UMT Campus today. 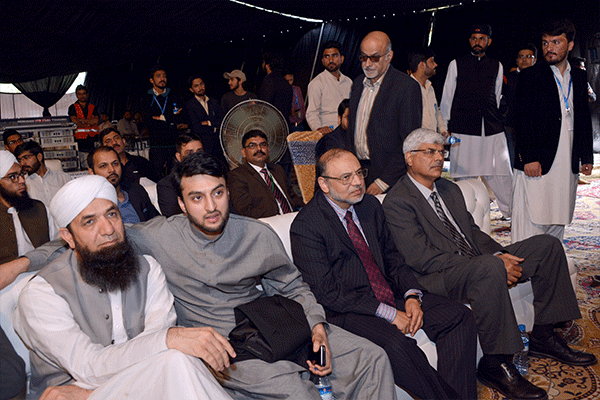 The session was widely attended by senior UMT officials, faculty, students and the general public. Stressing upon the need of synchronizing one’s life and deeds with the instructions given by the Prophet Hazrat Muhammad (PBUH) and the injunctions of the Holy Quran, Maulana Tariq Jameel urged all those present to mold their lives accordingly. He narrated many instances from his life when he had sought guidance from Allah which was always provided to him. He added that it is important for the youth to understand the essence of the teachings of Islam so that they may lead the way as ambassadors of the religion.